The Reverend Deborah K. Hutterer was ordained in 2004. She earned a Master of Divinity from Luther Seminary and a Bachelor of Arts in Mass Communication from Augsburg University. She is a life-long Lutheran brought to the denomination by default and stayed by choice. Growing up one mile from her church in St. Paul, Minnesota, she would often take the bus to church, and spend as much time there as she could. It was there that she experienced Christian community. This is where she heard Jesus’ call to ministry, but was told women couldn’t be pastors. Later in life that call was rekindled, which led her to congregational service, Lutheran college, seminary and ordination to the public ministry. Prior to her ordination, Hutterer created and launched two businesses, worked in the insurance industry, and held many positions at Augsburg College, including Peace Prize Forum Coordinator, collaborating with the Midwest Lutheran colleges to promote peace education and collaboration with the Nobel Institute in Oslo, Nobel Peace Laureates and college students. As Chief Development Officer at LSS-SW, she traveled extensively throughout Arizona preaching, presiding, or presenting at many congregations and ministry groups on topics such as refugee resettlement, child abuse prevention, and aging. 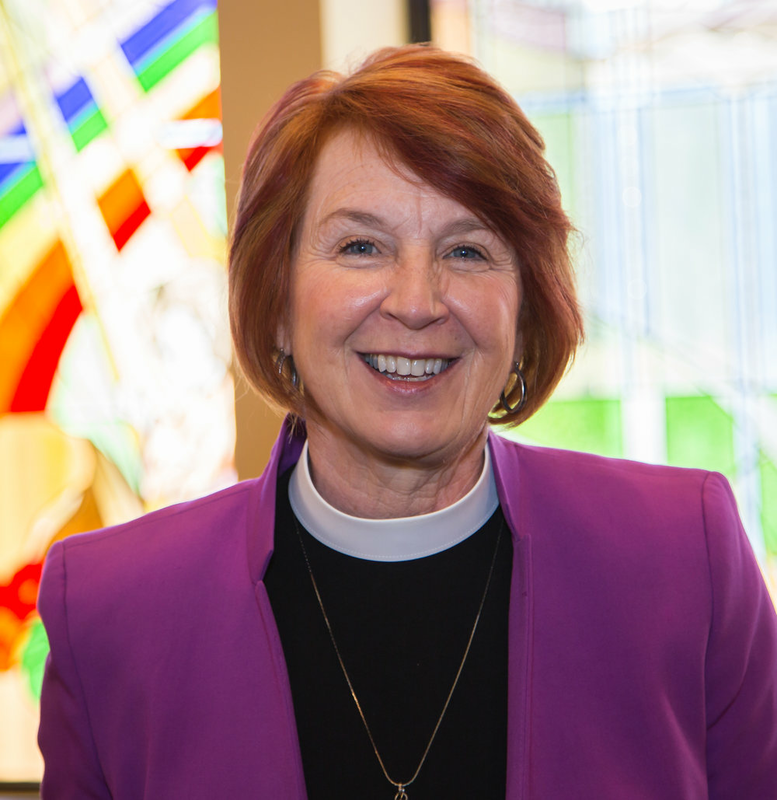 Her leadership experience in faith-based nonprofits and higher education broadened her awareness and appreciation for God’s multi-faceted ministry working with colleagues, congregations, ecumenical and interfaith partners. Personal and professional challenges have caused Hutterer to grow and constantly pushed her to trust the promise of death, resurrection, and new life. As she enters this new call as bishop, she trusts God’s leadership, guidance, and presence, and calls you to join her, using all of the gifts each of us has to be Jesus in the world today. In 2011 she lost her husband Gary Erickson to ALS. She has two adult children, Mitch Hutterer and Marissa Machado, who reside in Minnesota with her five grandchildren. Her parents Jerry and Evelyn Spiess live in Sun City West, Arizona. You can contact Bishop Hutterer at 602-957-3223 or dhutterer@gcsynod.org. Click here to download a photo of the Bishop in high resolution. Bishop Hutterer will participate in ELCA Advocacy Days, in Washington, DC, with a focus on Care of Creation. “Sing to the Lord a New Song!” is our theme as we gather at Love of Christ Lutheran Church. Check our assembly page and blog for all the latest info.